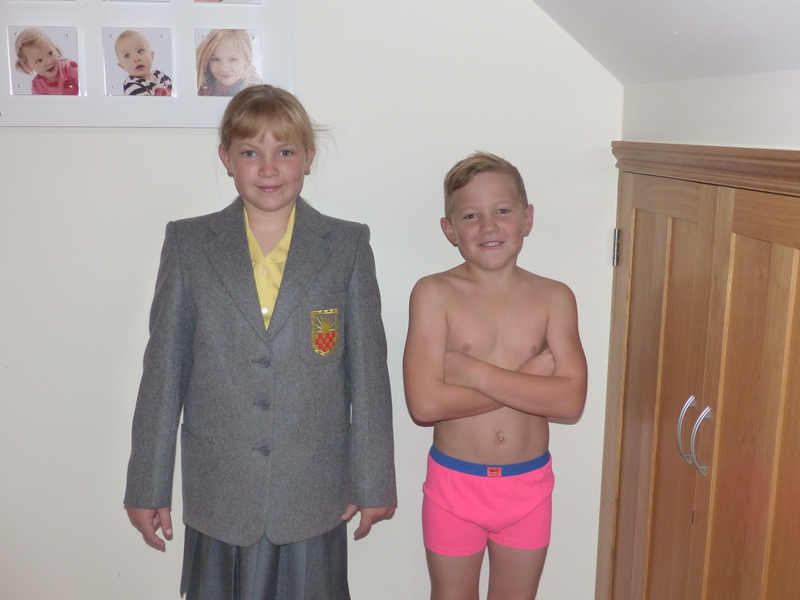 So – in the next few days we have 3 of the 4 children starting new schools – all a bit of a new school daze here!!! Today children 1 and 2 have their ‘first days’. For number 2 this shouldn’t be too much of a stress – he’s moving from First School to Middle School which is in the same building, and all of his friends are moving too. Some other First Schools feed in, so the classes will be bigger (yet more potential girlfriends – he is his father’s son after all! ), but it shouldn’t be too much of a change. 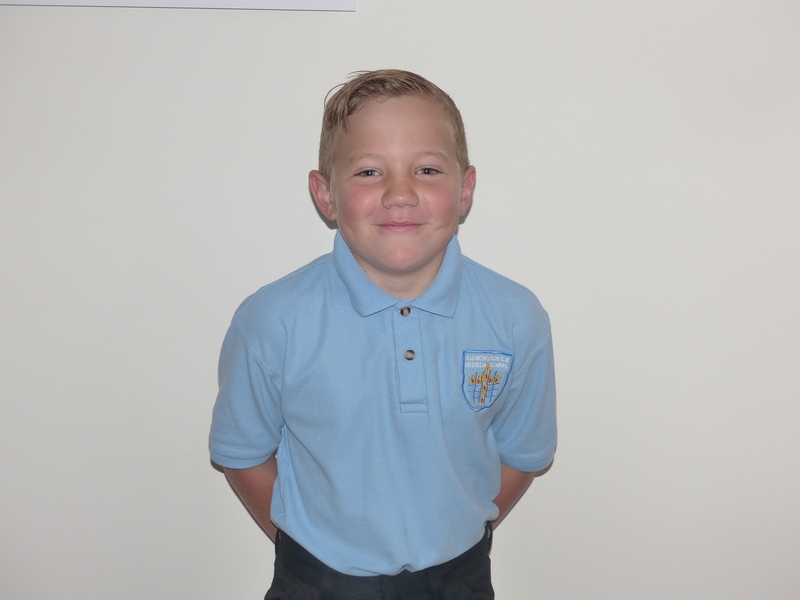 I am slightly concerned that he’ll now be responsible for his own homework / planning etc – and even getting him to do his reading in First School was a battle – but hopefully he will rise to the challenge – we shall see! 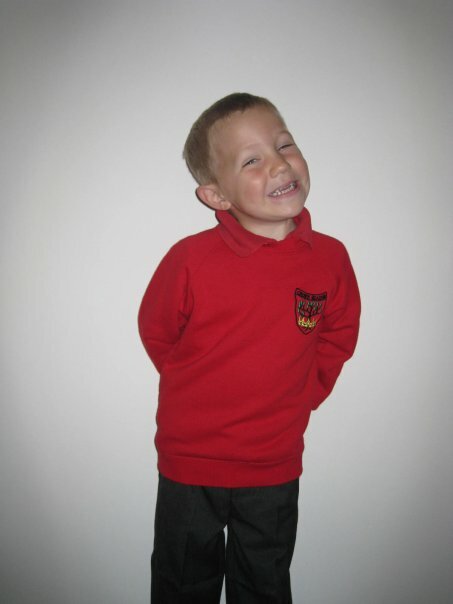 First day at first school – cheeky chap! For eldest daughter it’s all a bit more complicated. Husband had wanted the kids to go to private school from day one – but I have dug my heels in saying I would prefer for them to go to the village schools, where we can walk to school and they can build a friendship group of people in the village. This is totally what’s happened – and the support network to us all as a family of other village families is fabulous, However, I’d always said we’d reconsider at 11. 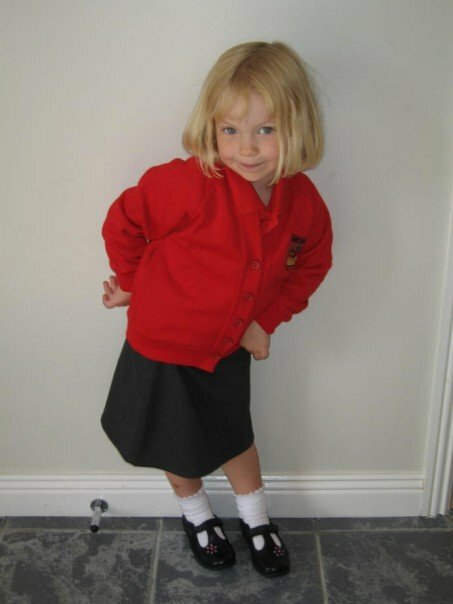 In our bit of Worcestershire we have the Middle School system – so she could have stayed in the village for another 2 years – but this was the best time to move her, if that was to be the plan. 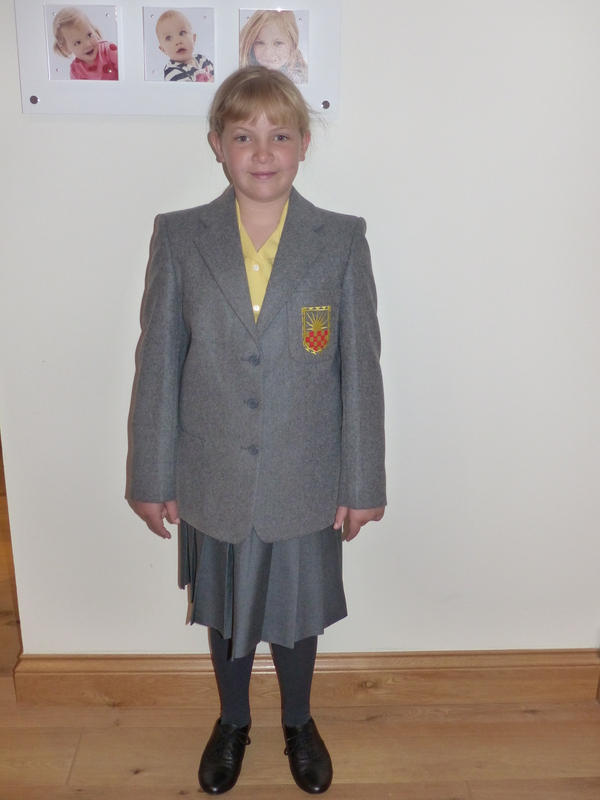 She did AMAZINGLY well in all of her 11+ and entrance exams – passing for the local grammar school (where I went, and husband’s first wife went, there’s a whole other post in that one day?! ), the high-flying academic private school in the middle of Birmingham, got a scholarship for another all girls private school in Solihull – and in the end is going to a small all girls school in Droitwich. The dealings we’ve had with them so far have been great – and everyone I know with girls there is really happy. She can go on the train every day (eek!) and be more independent. She is beyond excited. Best of luck to them in their new schools. Sounds like they are going to have a great time and do well. Love that he wanted to recreate the photo, what a fun thing to do! I blame his father for the exhibitionist genes!! I think it’s great that they went to the village school for a few years – nothing can beat a real sense of belonging to a place and being fully a part of the community. When they are older they can travel to meet up with their friends but little ones need local friends whom they can meet in the park. Good luck for the new schools this year.